Located in a very quiet corner of Truman Annex, this condo is a perfect getaway. This one bedroom and one bathroom unit has a spacious balcony. 7 night minimum rental. 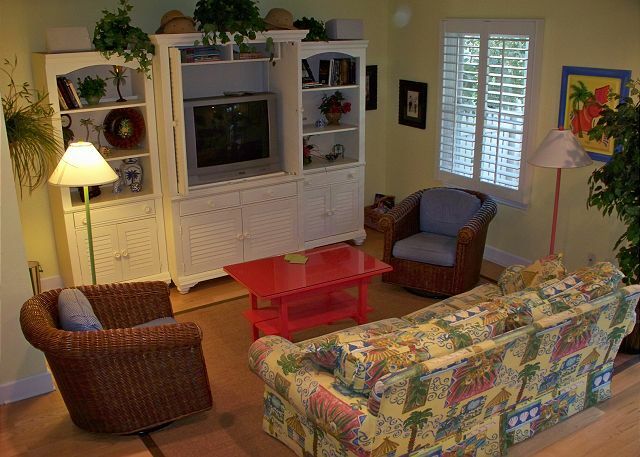 Paradise is definitely found in this Non-Smoking, first floor end unit condo only two short blocks off of "happening" Duval Street in Old Town Key West. Located in the upscale, gated community of Truman Annex. 7 night minimum stay condo, upstairs unit, with 2 bedrooms and 1 Bathroom. 1 queen, 2 twins.Condo has a an upstairs balcony that faces the front just outside the kitchen and a rear balcony right off of the living room. One parking space is provided. 7 night minimum rental. 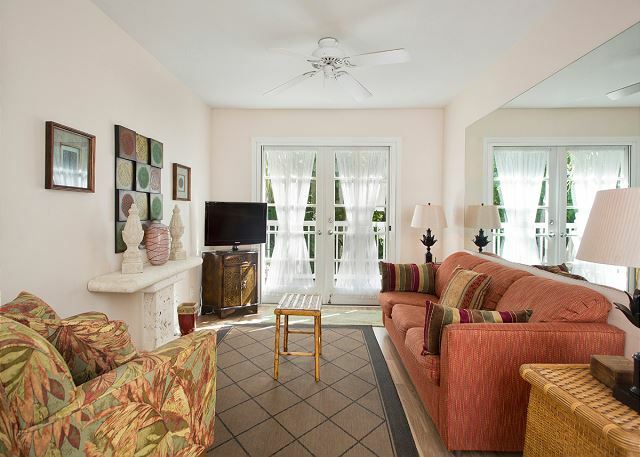 Paradise is definitely found in this Non-Smoking, first floor condo only two short blocks off of "happening" Duval Street in Old Town Key West. Located in the upscale, gated community of Truman Annex. 7 night minimum rental. Rare 2 Bedroom 2 bathroom upstairs spacious unit in Truman Annex. Bright and Airy floor plan with cathedral ceilings and balcony. Gated community and includes one assigned parking space.